Rejuvenate your complexion with Avant Skincare Advanced Bio Restorative Superfood Facial Oil; a luxurious, quick-absorbing formula that works to repair and protect. 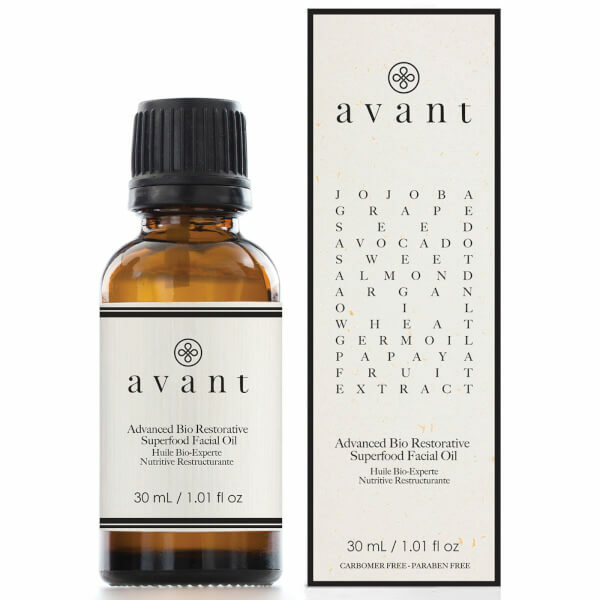 Harnessing the powers of Papaya Extract and nourishing Jojoba, Sweet Almond, Argan Oils (rich in vitamins and essential fatty acids), the anti-ageing treatment helps to minimise the appearance of fine lines and wrinkles for smoother, younger-looking skin. Antioxidant Vitamin E defends against harsh climate conditions, pollution and UV damage, whilst fortifying and replenishing skin to reveal a radiant, healthy complexion that is protected from daily stress and irritation. Expect hydrated, revitalised skin without greasy residue.